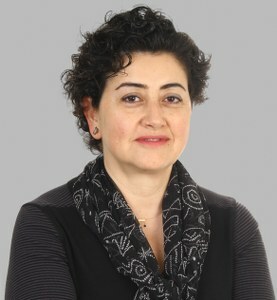 Harika Ustaoglu founded Caria Design in 2006. She became representative of a Turkish fine jewelry designer in the US. Over the years she added several designers to her company. While traveling from one trade show to another all over the country, she started to take jewelry classes. She finished few metalsmith workshops in Stuart Cathey studio, joined Fred de Vos studio for wax workshops and honed her skills with another wax workshop with Kate Wolf. In 2012 Harika designed her first collection using sterling silver, beads, gems, horn and bone. But her true passion has always been fine jewelry, it was what she always preferred to wear. In summer 2014 she launched her fine jewelry collection using her name. This collection made of 14K Gold, diamonds and gemstones. Every stone handpicked by the designer at the gem shows or in the heart of New York jewelry district from respectful gem dealers. She likes to use repurposed gold and diamonds whenever they’re available to source. In January 2016 Harika launched 18K Gold collection. This collection mostly contains white, black, pink, yellow and fancy color diamonds. This is also her bridal collection and will continue to expand. All the pieces designed by Harika wherever she might be. It might be at one of her studios in NYC or in Istanbul, while she’s traveling on a plane, driving or lounging on the beach. She has some pieces inspired by a car tail light, boat propeller, an abstract form or basically anything she might come across. Gemstones are big inspiration for Harika. She likes to design one of a kind pieces around a free form gem. She uses in variable cuts, shades and shapes of diamonds, sapphire, aquamarine, beryl, morganite, amethyst, paraiba, opal and the list goes on. As much as she likes to use precious and semiprecious stones, sometimes just a rutile quartz, a fossilized shark tooth or a rock captures her attention and designs a piece around that stone or object.